1.3 feet (0.38 meters) Great for Macro and closer then most lenses Canon calls a “Macro” lens! 5 blades stepping down to f/36. f/3.5: Decently sharp with some chromatic aberration and spherical aberration reducing contrast. f/4: Quite sharp with better contrast. f/8: Sharp all over with nice contrast. f/3.5: Little bit soft with some chromatic aberration and spherical aberration reducing contrast. f/4: Quite sharp with better contrast but still some spherical aberration. f/8: Sharp all over with good contrast. 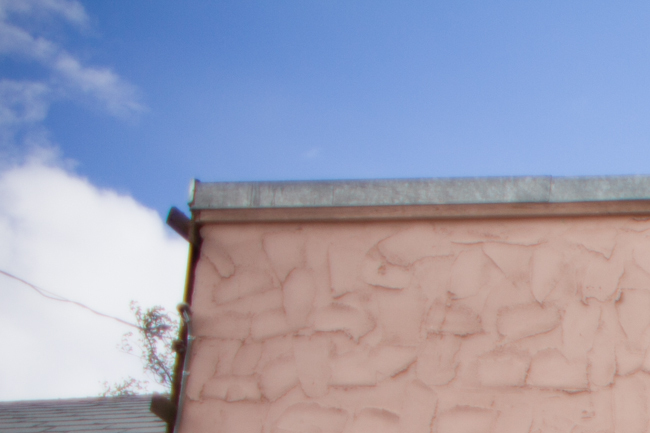 f/4.5: Little bit soft with some chromatic aberration and a little heavy spherical aberration reducing contrast. f/8: Quite sharp with better contrast but still some spherical aberration. f/5.6: Pretty soft with chromatic aberration and heavy spherical aberration reducing contrast. f/8: Sharp but quite a bit of spherical aberration. 28mm: A fair bit of vignetting and quite heavy in the very edges at f/3.5 but immediately starts clearing at f/4 and only a hint at f/8. 35mm: A little vignette at f/3.5 and doesn’t really improve at f/4 much but only a hint at f/8. 50mm: A little vignette at f/4.5 and almost gone by f/8. 85mm: Still a fair bit of vignetting at f/5.6 and just a little at f/8. 35mm A fair bit of barrel distortion. 50mm Strangely a tiny bit of pincushion distortion already. 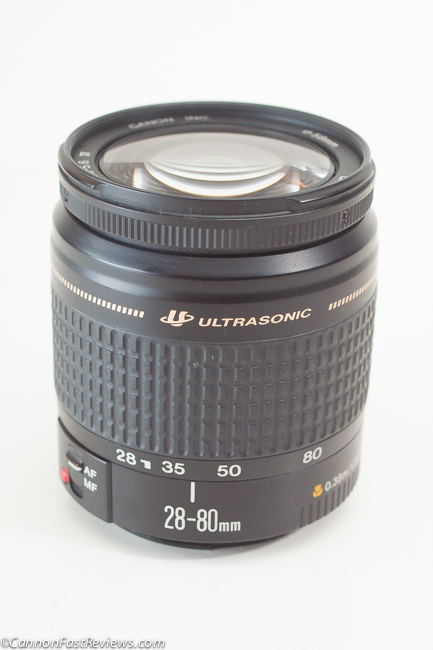 For full frame 35mm cameras, this little lens is a steal of a deal today. 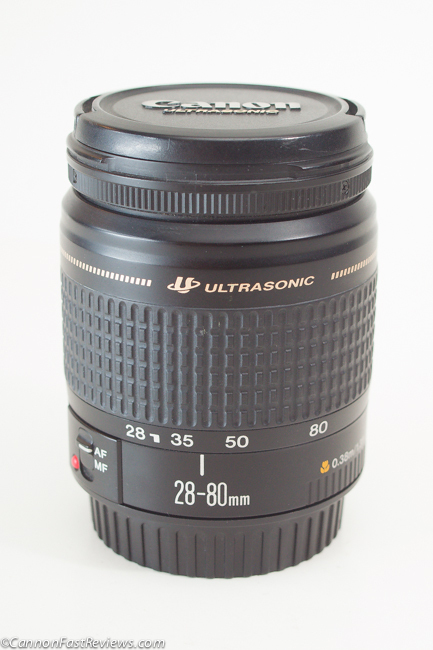 Equivalent to newer cropped sensor 18-55mm lenses on cropped cameras, this older originally film lens is nearly as sharp and 1/4 the price! This was a kit lens stuck on many of the 35mm film SLR camera bodies and is a fun, cheap option for full frame digital DSLR’s today. Today they are really easy to find, crazy cheap and usually still attached to a film body. Construction is all plastic with a plastic mount, so one would have to be careful not to break the mount. Switching from Auto Focus to Manual takes a flick of a switch. If you try to just grab the focus ring and turn it while it is still on AF, you could break the plastic mechanism inside. Focus is not too slow either and doesn’t have a tendency to hunt that often. Optically at wide angle this lens is very sharp at any stop. As you begin to zoom past 50mm the lens starts to take a dive. By 85mm the results are pretty soft with quite a bit of spherical aberration. Heck this lens is sharper at 28mm wide open then 85mm stopped down to f/8. 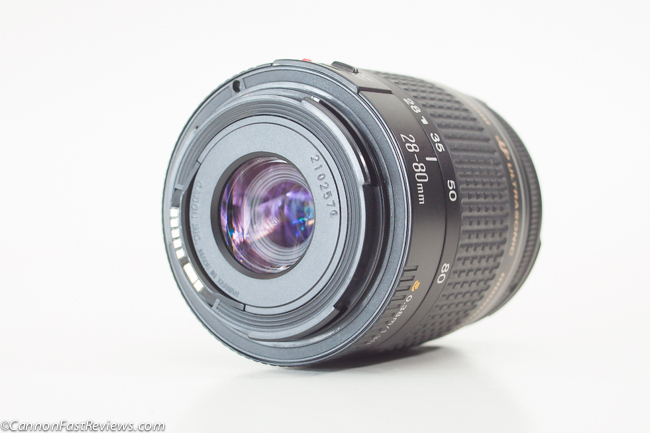 If you want a great little wide angle lens that also gives you zoom when you need it, this lens is great. I try to shoot it as wide as I can most of the time for optimum performance. One of the absolute best features about this lens is that the close focusing is 1.3 feet (0.38 meters) which is better then most really expensive, modern zooms with Macro functions! 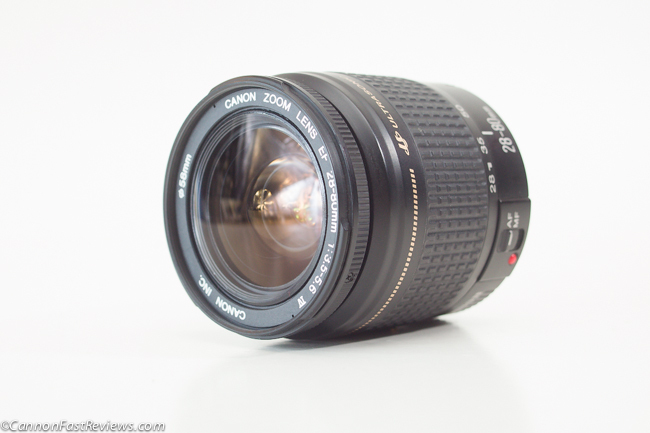 This is a hidden gem Macro Zoom lens!